Well, we have just concluded an AMAZING weekend with our family in which my sister-in-law performed her senior recital (for composition) and made the entire family teary-eyed and overjoyed. Our house has been packed out by our favorite people in the whole world and now our refrigerator is full of leftovers, meaning I don't have to cook all week long. I'm pretty sure anyway. 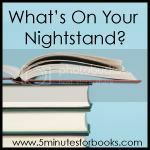 With all of the happenings around here I clean forgot that tomorrow is Nightstand! Yet here we are (again) and I'm looking into May. 1. The Maid and The Queen. I did read this one and the title is linked to my review. Loved it. Highly recommend it! 2. The Miraculous Journey of Edward Tulane . I did read it but I haven't had a chance to sit down and write out my thoughts just yet. I should be able to get to that shortly. 3. 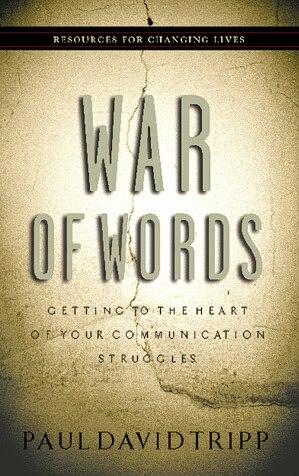 War of Words: Getting to the Heart of Your Communication Struggles , by Paul David Tripp. I didn't get anywhere near this book this past month. I'm going to push it into May because I do want to get to it sooner rather than later. 4. Matthew (St. Andrew's Expositional Commentary) , by R.C. Sproul. I started it! I'm just a few chapters in so this'll continue onto the May reading docket as well. 5. No Name, by Wilkie Collins I read for the Reading to Know Book Club. Loved it. My non-spoiler review is linked to the title. Highly recommended! 1. Finish Matthew (St. Andrew's Expositional Commentary) . 2. Start AND finish (ha) War of Words: Getting to the Heart of Your Communication Struggles . 3. 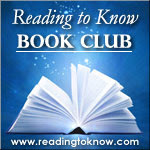 Island of the Blue Dolphins is the book of choice for the May edition of the Reading to Know Book Club. I haven't decided whether I will include Bookworm1 in this and make it a read aloud or read it by myself. I've never read it. Any thoughts? Advice? Opinions? I'm listening. Amy from Hope is the Word will be leading the discussion for the month of May. Feel free to join in with us just for this one month if you please! Then I have some review copies which I really need to knock off. For simplicity's sake, I'll just link titles. 4. The Apple Orchard , by Susan Wiggs. This is a modern novel but I'm taking a chance on it as it is set in World War II and the publisher's description gave me hopes that I would enjoy it. We remain ever hopeful. 5. The Shape of the Eye: A Memoir , by George Estreich. I'll be reading this one for review on 5 Minutes for Books/Mom. 6. Secret Storms: A Mother and Daughter, Lost then Found - This one is a story surrounding an adoption so I'm very curious. 7. The Sasquatch Escape (The Imaginary Veterinary) , a new piece of middle grade fiction by Suzanne Selfors. Because sometimes you just have to know. 8. Frozen in Time: An Epic Story of Survival and a Modern Quest for Lost Heroes of World War II - Because it sounds awesome!!! I'm hoping I can make a considerable dent in my reading stack this month. We have a few getaways planned as a family so I'm not entirely certain what the reading month will end up looking like but we'll give it a go and hope for the best! So what's on YOUR nightstand? I'll be following links to find out! I have never read Island of the Blue Dolphins, but I did enjoy another of Scott O'Dell's books, Hawk that Dare Not Hunt By Day, as a kid. So, I will boldly discover this book with the kids this month. I, too, loved The Hawk That Dared Not Hunt by Day as a kid. Tempted to get a copy and read Island of the Blue Dolphin with you. Like I don't have enough else on my plate. I'm not sure about Island as a read-aloud for us. I'm wondering if it might be too intense (death, etc.). Since I've never read t, though, I can't say for sure. I'm looking forward to it, though! I read The Hawk That Dare Not Hunt by Day years ago -- I didn't realize the same author wrote Blue Dolphins. I'm looking forward to it even more now! I'm interested to hear about War of Words. Sounds like you had a great weekend! Hope you have fun on your family outings! Leftovers in the fridge--almost as good as a full nightstand of books. Good look starting and finishing War of Words during May. :-) Love that one. Island of the Blue Dolphins was a book I did read with my girls; we all enjoyed it. Hope you do too! I read about Apple Orchard and may give it a try. I need to get back to Willkie Collins--I've been reading the "Moonstone" on and off for about a year on my Kindle. Interesting list this month! I was also thinking Island would be too mature for my kiddos. I *haven't* read Island of the Blue Dolphins--but maybe that would be a good one to get back into the reading club thing with. Frozen in Time looks pretty interesting to me too. I read The Island of the Blue Dolphins a year or two ago and enjoyed it. It isn't the type of book that I want my siblings younger than 11 reading though. It is fairly mature and serious for them... My eight year old sister is enjoying Peter and the Starcatchers right now instead. I remember really loving Island of the Blue Dolphins when I was younger (tween / young teen), it was one of my favorites though I can't remember all the details of the story now. May have to reread it sometime. I guess I'd recommend reading it first and deciding if your daughter would enjoy it / be up for it. 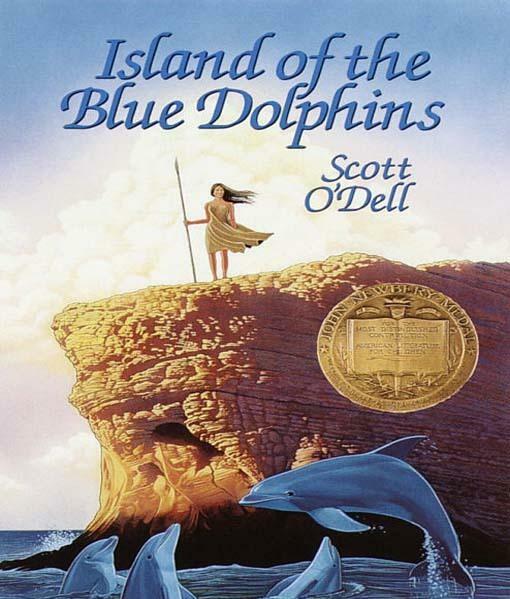 Island of the Blue Dolphins was one of my childhood favorites. I hope it still is as good as I remember. We listened to the audio version of Island of the Blue Dolphins on a road trip. It was a at least 2 years ago, so Kyle was probably around B1's age. It was a bit slow for him, I think. I remembered enjoying the book as a child, but I don't know if it lived up to my expectations. I am working my way through Beth Moore's A Heart Like His. While it is generally read as part of a devotional/bible study I'm reading it like a non-fiction book. Thoroughly enjoying it. Up next is The Secret Thoughts of an Unlikely Convert by Rosaria Butterfield, which has come highly recommended to me by several ladies I know and respect. We're reading it for our next book club meeting in May. That's it. So, yeah, even though I don't blog, I still read! I would suggest that Island of Blue Dolphins is not for a sensitive, younger child. I read it when I was 10 or so, that is the age I would recommend. It's definitely more real-life and death. I recently bought one of Selfors' YA books(The Sweetest Spell). I'm looking forward to finally reading it. I hope you like The Sasquatch Escape! I wanted to comment when you reviewed the Maid and the Queen but refrained due to the giveaway, but I sooo want to read this. And the library doesn't have it. :v( I think I'll visit the used book stores and take a look for it. The Maid and the Queen sounds excellent - I'd like to learn more about Joan of Arc. I taught ele. school for years and read Blue Dolphins then -- honestly don't remember a lot about it but if your child is into nature, he/she would probably enjoy. I recall it being totally non-offensive, and moving kind of slowly (but for today's kids, that's not necessarily a bad thing). The Joan of Arc books looks very interesting. I've had a lot of discussions about her with my kids. What I know about her is based off snippets in our history readings or the Diane Stanley book. My oldest son has read Mark Twain's book about her which I want to read some day. Sounds like a great list! I'll be excited to see what you get to read in May. I missed the link up as I forgot to put the post together before my vacation. Oh, well!